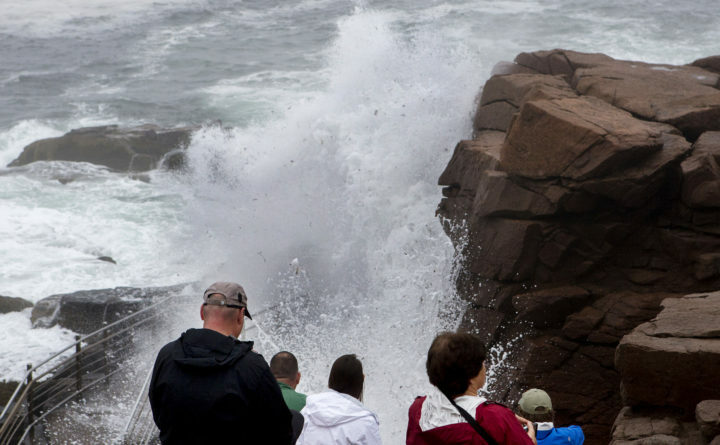 In this September 2017 photo, visitors at Acadia National Park watch as waves crash against rocks at Thunder Hole. Park visitors also trigger concerns in Bar Harbor and other Mount Desert Island towns that tourist traffic is degrading the island’s quality of life. Bar Harbor and Acadia are both working on plans that would better manage traffic, while other towns have instituted cruise-ship visitation bans.